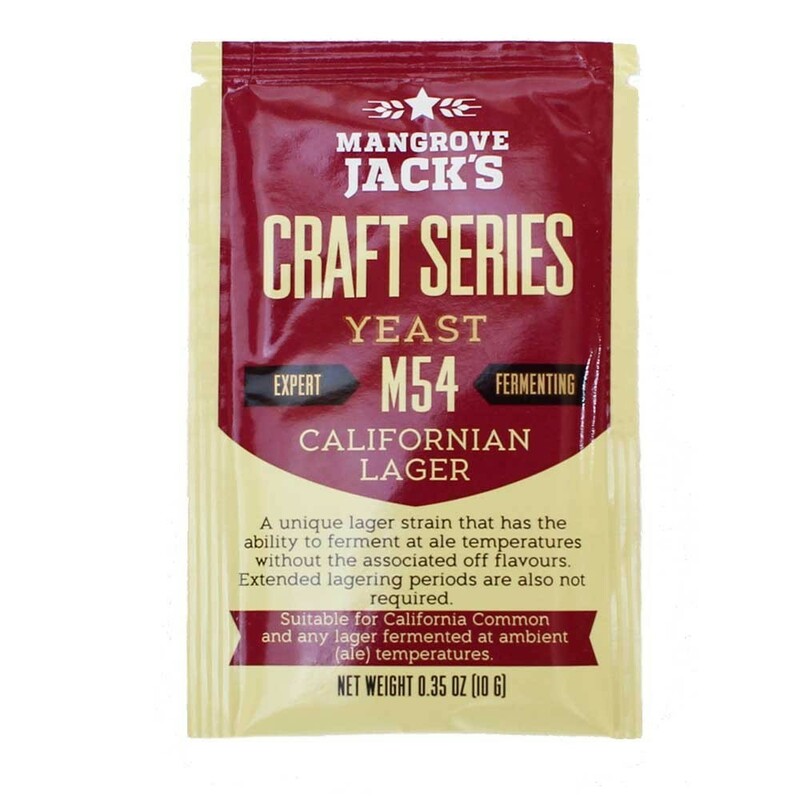 Mangrove Jack California Lager M54 - Texas Brewing Inc.
A unique lager strain that has the ability to ferment at ale temperatures without the associated off flavours. Extended lagering periods are also not required. It excels at producing clean crisp lagers such as Pilsners or Helles but is versatile enough to produce any style of lager including California Common.